Apple removed several Infowars podcasts from iTunes for violating its "hate speech" policy, but has not removed the Infowars app from the App Store. The app is surging and downloads are up over 10x on iPhone — it was the No. 3 news app on Thursday, ahead of CNN, Fox News, Buzzfeed, and the New York Times. Apple said in a statement that "we strongly support all points of view being represented on the App Store" and it continues "to monitor apps for violations of our guidelines." Infowars Official is on Apple's charts ever since the iPhone company decided to remove easy access to several Infowars podcasts from iTunes, including the flagship show, "The Alex Jones Show," after calling its content "hate speech." The Infowars Official app does not include a back catalog of shows. But that hasn't stopped the app from becoming the No. 49 overall free app excluding games, according to The New York Times. It was No. 3 on the U.S. "news" category on Thursday, ahead of apps from The New York Times, Buzzfeed, CNN, and Fox News. One analyst that the app saw a "huge increase in installs." "We're talking from a few hundred per day on U.S. iPhone to a few thousand, or about 10x," Sensor Tower analyst Randy Nelson said in an email. Apple was widely praised after it removed the Infowars podcasts from iTunes, a move that reportedly was made by CEO Tim Cook. 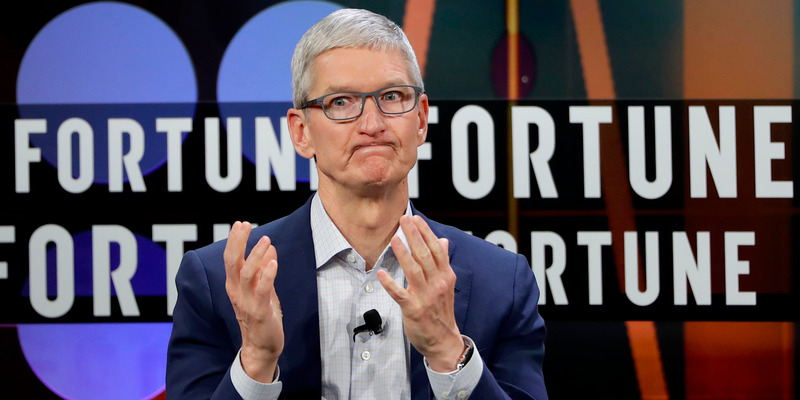 After Apple made its call, other companies including Facebook and YouTube reportedly took note and then decided to curtail Jones' access to their platforms as well. An Android version of the app remains in Google Play, the Android app store, where it appears to be seeing a surge of downloads as well. Apple didn't return a request for comment.